Not Just Any Fence. An AFSCO Fence. Commercial and residential customers alike look to AFSCO Fence Supply Company for both sales and installation of quality wood, metal, pvc, and aluminum fencing. Simply stated, a fence is an investment. A professionally installed AFSCO Fence will add value to your property and provide you with security and privacy for many years to come. Homeowners looking for privacy and protection for their children, pets, swimming pools, and tennis courts find one of the largest selections of fence styles in the Capital Region and surrounding areas at AFSCO Fence. Industrial and commercial businesses seek the finest in metal, wood, pvc, aluminum fencing to protect their land, buildings, and equipment from vandalism, theft and trespassing. AFSCO is a leader in new fence technology and has experience in developing specialized fence for individual business needs. We are a family owned and operated local business established in 1970. Our scope of work includes residential, commercial, municipal and industrial fencing needs. Siena Fence Company, Inc., a residential and commercial fence contractor, is located in Clifton Park, NY, and serves Clifton Park, Albany, Saratoga Springs, Schenectady and Troy, as well as the other municipalities within 150mi. radius of the Albany, NY area. Our management team has combined experience of over 34 years in the fence contractor industry, and our LEAST experienced foreman has been installing fence for over 15 years. We are family owned and operated. 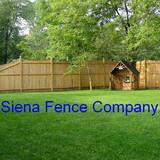 Many companies say they are a ‘family’ business, but Siena Fence exemplifies the term. The office staff is made up of the owners and the rest of our team consists of four of the owners brothers and one of their fathers. The few members of the team that are not actually related, have been friends of the family since we were kids. We aim to separate ourselves from local competition in a number of ways. We pride ourselves on getting customers their quotes the next day. We have put together a talented host of installers that work hard and get the job done right. We look forward to supporting the community in our continued success and growth of Siena Fence Company, Inc. Mission Statement At Siena Fence Company, Inc. we are dedicated to excellence in every aspect of our business. Our mission is to offer quality products at reasonable prices. By consistently maintaining a professional atmosphere, staffing only skilled employees, and providing unequaled customer service, Siena Fence Company, Inc. will soar above and beyond the competition. 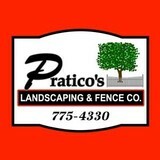 Pratico's Nursery & Garden Center has the largest selections of quality plant material in Rutland County. Evergreens, trees, flowering trees, flowering shrubs, large and small 2-3-5 gallon assorted flowering and evergreen bushes, roses, hosta, perennials, new plant material comes throughout the planting season. We also special order any plant material needed for landscaping needs. 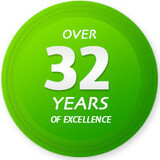 We have a professional staff on board with over 35years of experience to answer any questions you have on your landscaping needs, we are committed to customer service and satisfaction. A-Plus Fence Service has been offering the highest quality fence products and services in Albany, NY and the surrounding areas for over 8 years. We are family owned and operated and known for our exceptional customer service. We will work with you during every step of a project to ensure your complete satisfaction. Whether you're looking for a brand new fenceFence installation or small repairs to your current fence, we can help. We have the knowledge and experience necessary to get the job done right. We are committed to to offering top quality products, ensuring your complete satisfaction! Serving fence contractors throughout the Eastern half of the United States, B&H Wholesale Fence specializes in providing superior products and service at the lowest possible prices. We are "Suppliers to the Trade" and distribute our products only to qualified contractors and independent dealers. We are set up to handle a high volume of orders and feature the fastest order turn-around time available. Browse our catalog to view our many unique styles of fencing. If you need to match a pre-existing fence style or want a custom style not shown in our catalog, give us a call and we will try and help you with that. For catalogs and pricing, please contact us. We are an independent fence contracting company. We take pride in our work and it shows. Your Manchester Center, VT fence installation and repair professional will work with you to create your ideal fence. Fence installation or replacement. If you are in the market for a brand new fence, a contractor’s services will include walking you through various fence styles and materials, determining a suitable height, ensuring that all fence designs and plans are compliant with Vermont building codes, and that the fencing meets both your stylistic and security needs as the homeowner. Fences and gates must complement the grade of your property as well as the type of soil you have, so the contractor should always plan around these considerations. Additionally, if you don’t know exactly where your property lines are, he or she can commission a survey for you. Find a fence contractor in Manchester Center, VT on Houzz. Narrow your search in the Professionals section of the website to Manchester Center, VT fence contractors. You can also look through Manchester Center, VT photos to find examples of fencing and gates that you like, then contact the professional who worked on them.